The display of Sharon Langhan's prints at Sutherland Library showcase various printmaking techniques. Sharon's underlying influence for her choice of subject of her prints is the natural beauty of Sutherland Shire's beaches and waterways. A selection of Sharon's prints are on display during July and August so come along and see them on the Southern Lounge Wall of Art at the rear of the library. You won't be disappointed. Interested in finding out what's been in the news about the law? Are you studying HSC Legal Studies and need help identifying recent legal issues? The Legal Information Access Centre (LIAC) at the State Library of NSW have created a news watch service to help you find information about recent changes to the law, recent cases and new legislation. Nearly all OverDrive WMA Audiobooks in our download collection are now compatible with the iPod, iPhone, iPod Touch, and iPod nano, as well as Zune and thousands of other portable devices. To access this new functionality all you have to do is upgrade OverDrive Media Console to version 3.2 on Windows PCs. There are a few requirements for transfering WMA audiobooks to Apple devices, which you can read about in the Overdrive Help. OverDrive Media Console's enhanced Transfer Wizard will expand the largest selection of iPod-compatible audiobook titles for libraries by making the vast majority of existing audiobook titles playable on Apple devices. As part of Drug Action Week from 21-27 June 20009 Sutherland Library will be offering a range of free brochures and promotional material dealing with alcohol and illicit drugs. This information is authoritative and accessible. 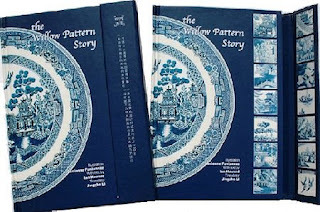 There is some great information for everyone including plenty of material for school projects! Drug Action Week is a national event organised by the Alcohol and other Drugs Council of Australia (ADCA) which aims at raising public awareness on the issues of drinking and drug use within our community. ADCA supports the view that education is a key factor in countering Australia’s drug-related problems. You will find the Drug Action Week display located near the Information Desk on the ground floor. Just look for the column with the red and white Drug Action Week balloons. For further details please visit http://www.drugactionweek.org.au/. Library Week Hamper 16.6.09, originally uploaded by Sutherland Shire Libraries. 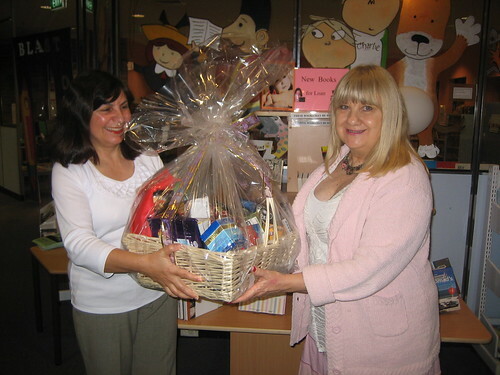 During Library Week, 25-29 May, all visitors to Menai Library were entered into our lucky hamper draw. This lucky Menai branch winner is one of our regular patrons. On receiving our phone call she was shocked and overjoyed, telling us, 'I never win anything'. To help celebration Library Week 2009, all Sutherland Libraries held a raffle for their customers. Meet Reg, the lucky winner of Sutherland Library's Hamper. On Saturday 30th May as a finale to Library Week 2009 Sutherland Library hosted Liz Stevens from Chilton's Antiques who gave a very enjoyable and informative presentation on antique jewellery. Liz's talk gave an overview on the history of jewellery and several exquisite pieces were passed around. For those who had brought along pieces of jewellery Liz gave verbal valuations including the origins of each piece. Liz's knowledge and great personality resulted in an afternoon thoroughly enjoyed by all. Library Week wrap part 2 - The Libraries and Schools across the nation join together to promote literacy during National Simultaneous Storytime. On Wednesday 27th May at 11.00am Sutherland Shire Libraries joined the rest of Australia reading Pete the Sheep by Jackie French and Bruce Whatley. A couple of shearers popped into Sutherland Library and joined in for a very interactive reading story. The kids had a great time and took home their special craft and Pete the Sheep sticker.